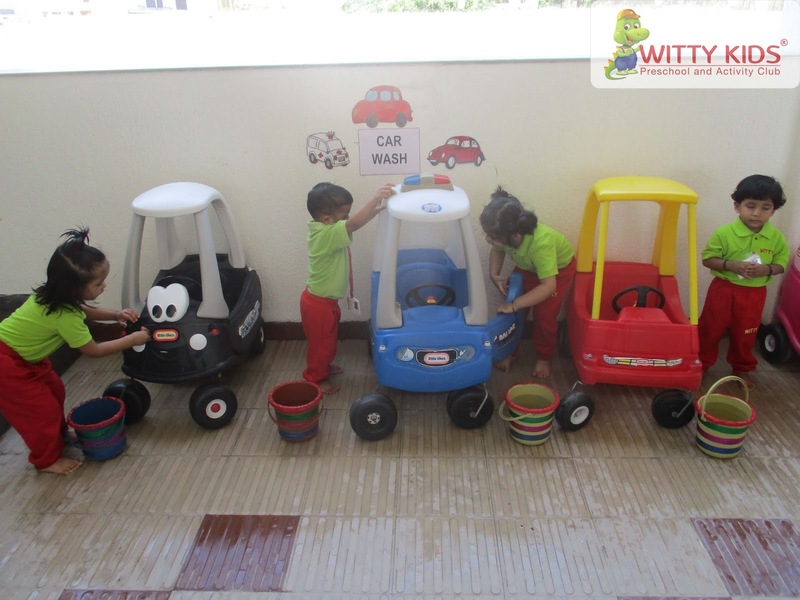 Children's personal hygiene needs change dramatically during this early childhood stage. 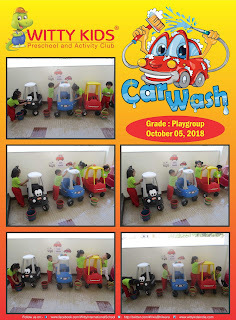 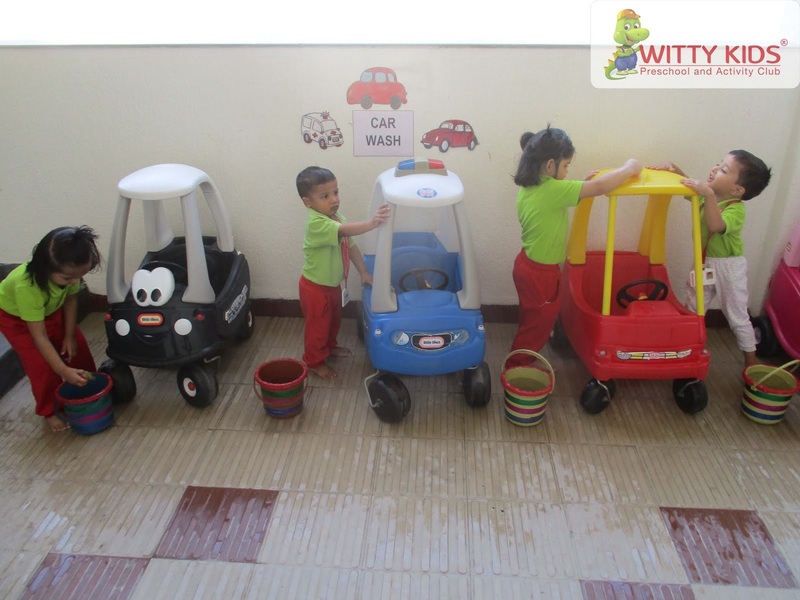 One of the most important self-hygiene tasks that preschool-aged children need to master is cleaning and washing the things to keep them germs free, and to make the kids learn this habit, Car Wash activity was conducted for P.G toddlers of Witty Kids, R.C. 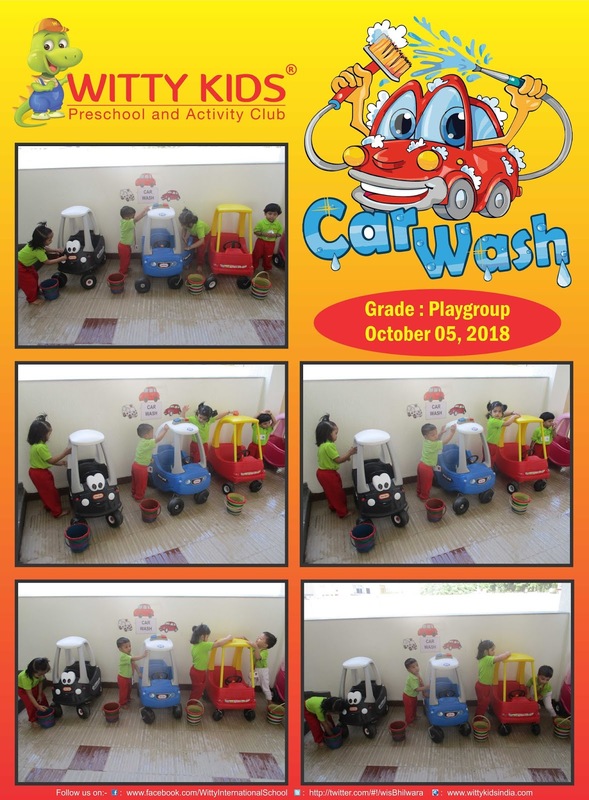 Vyas colony, Bhilwara on Friday, October 5, 2018. 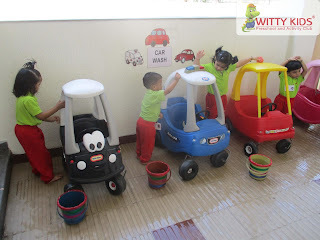 Toddlers were given opportunity to wash the Dinky Cars using sponge and water. 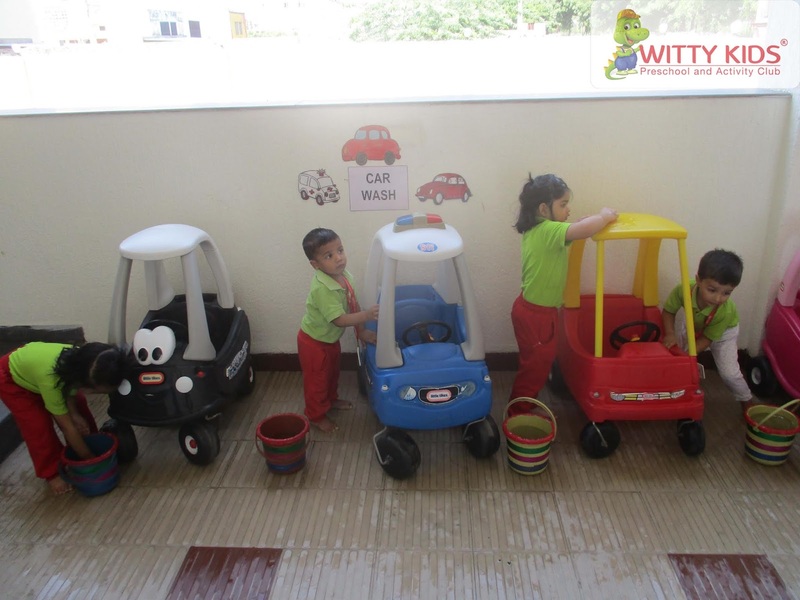 Teacher instructed the children how and why to wash our belongings to encourage them to practice this skill often. The kids enjoyed the activity a lot and happiness could be seen on their faces with a broad smile.